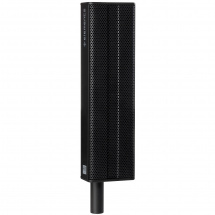 The Lucas Nano 605 FX by HK Audio is a portable stereo PA speaker set with a 5-channel mixer with Bluetooth functionality and the option to connect instruments and microphones. 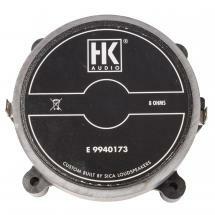 The mixer also features on-board reverb effects and a 2-band EQ. 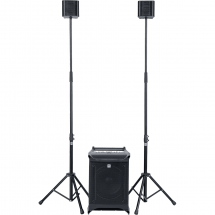 The speakers are capable of producing a high putout level (up to 1500 watts), which means they can entertain an audience of about 120 people! 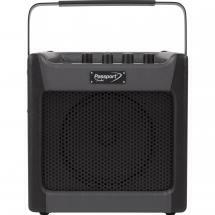 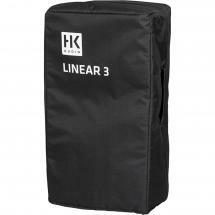 The 2.1 PA consists of two 4.5-inch satellite speakers and a 10-inch subwoofer. 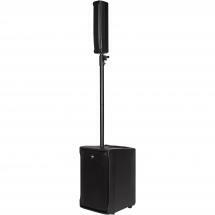 For transporting the set, simply place the satellite speakers inside the subwoofer's housing. 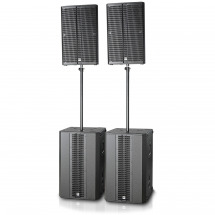 It's also possible to place the speakers on top of one another for extra wide dispersion in a column array setup. 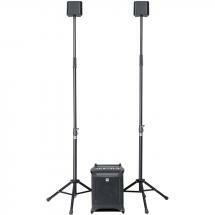 the speaker stands shown in the images serve illustrative only and are not included. 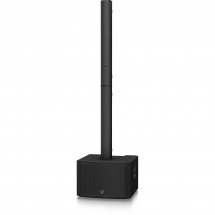 The satellite speakers have a 3/8-inch speaker stand connector so will not fit on a speaker stand that has a 35 mm mount without the use of an additional adapter.